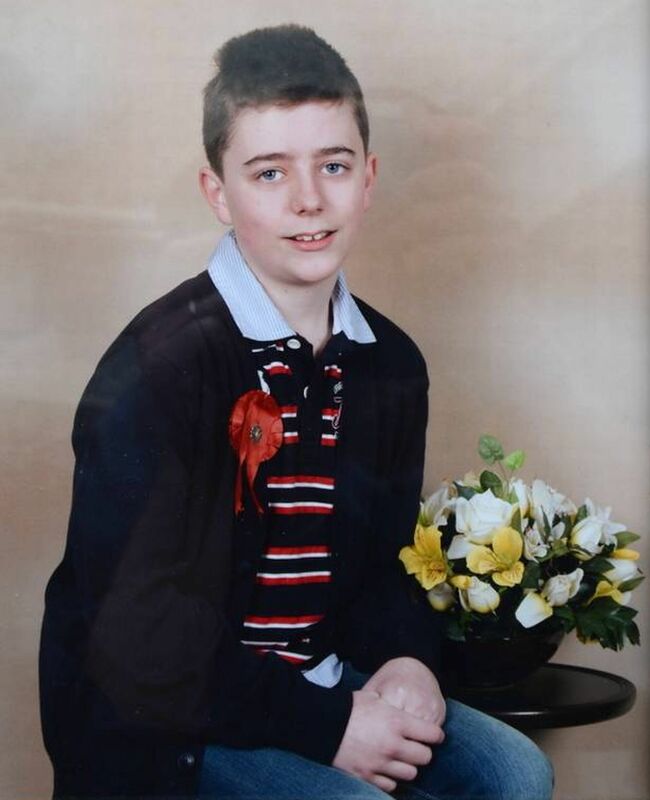 In March 2013, 14-year-old Jake McGill Lynch (above) took his life after being prescribed Fluoxetine (Prozac). Ever since that time, Jake’s parents Stephanie and John (left) have fought relentlessly on Jake’s behalf to have his story heard. 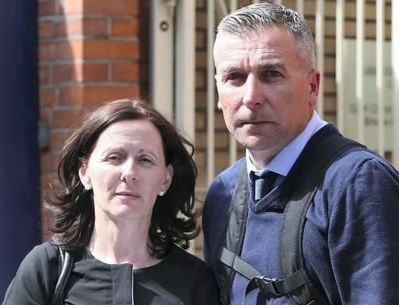 However, due in no small part to the wilful obstruction of judicial processes by interested parties linked to the Irish Health Service Executive (HSE), Jake’s inquest is still to be completed. 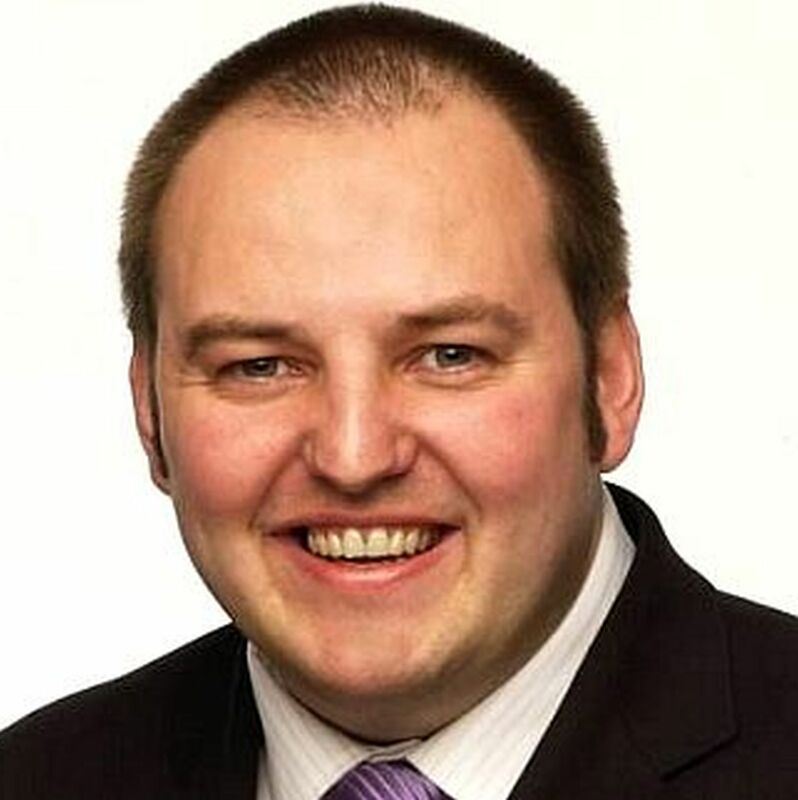 Last week, a proposal entitled Jake’s Amendment was presented unopposed in the Irish Parliament. This would give coroners the option to deliver a verdict of iatrogenic suicide where it could be shown that suicidal ideation had been induced by antidepressants or other forms of psychiatric medication. This week, the Irish Independent published an article by journalist Katie Byrne (right) in which she interviewed Stephanie and John. What follows is a transcript of the article as it appeared in the newspaper. For clarity, I have reproduced direct quotes in italics. Sometimes Stephanie Lynch drives to her son’s secondary school in Clondalkin to collect him… but he never comes out through the gates. 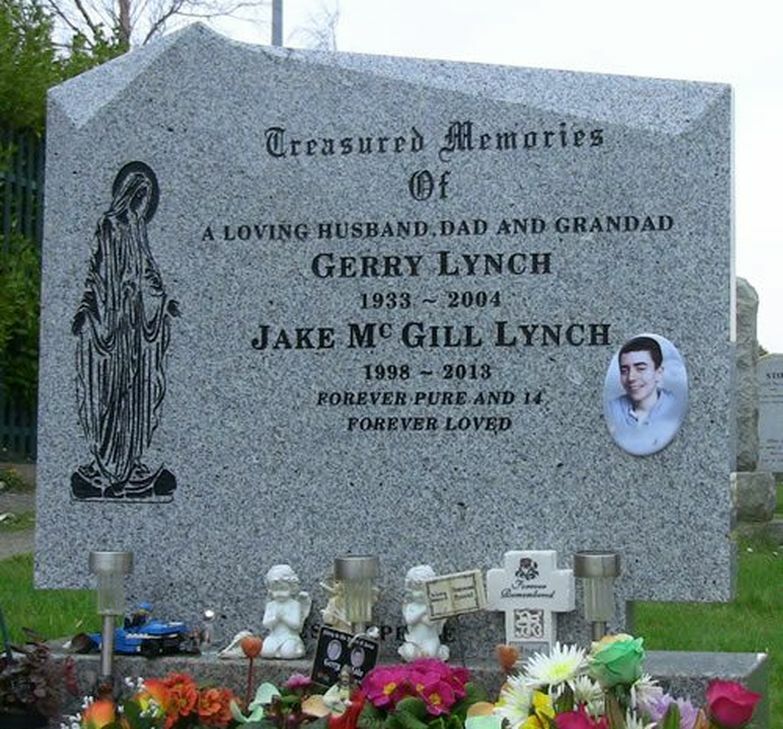 Fourteen-year-old Jake McGill-Lynch took his own life on March 20, 2013 and his parents are a long way from accepting that their beloved child is gone. It’s the hardest challenge a parent can face; it’s harder still when there is even a semblance of a chance that the death was preventable. Jake started taking the antidepressant Prozac seven weeks before he died from a self-inflicted gunshot wound. Most will conclude that this was the tragic culmination of a long-standing illness, or a simple case of cause and effect. However, Jake was never diagnosed with depression. More to the point, there is evidence to suggest that antidepressants increase the risk of suicide and suicidal ideation in children and adolescents. Jake’s parents, Stephanie and John, say that they weren’t told about the drug’s side-effects. John and Stephanie say they were never told this. Jake was diagnosed with Asperger’s Syndrome, which is an autism spectrum disorder, in 2012. He was intermittently seeing a psychologist at Clondalkin Linn Dara Child and Adolescent Mental Health Services. His anxiety increased ahead of his Junior Certificate and the psychologist referred Jake to a consultant psychiatrist in January 2013. At the time, Stephanie was still waiting for an occupational therapy appointment and had also asked the psychologist about CBT (cognitive behavioural therapy). On January 31, 2013, John took Jake to the appointment with the psychiatrist at which Jake was prescribed Prozac. John signed a consent form. The psychiatrist had not met Jake before this consultation. “We didn’t research Prozac. We should have,” says Stephanie. “When I went into the pharmacist with the script, I said, ‘I’m a bit embarrassed, I have what looks like an adult prescription here but it’s actually for Jake’,” she continues. Stephanie says a Patient Information Leaflet was not included with the drugs when she collected the prescription from the pharmacy. Jake began to behave out of character six days later. He walked out of an exam halfway through, an act of defiance which was otherwise unheard of for the straight-A student who had an IQ of 146. That night he cried for three hours and said: “You don’t know what it’s like in my head” when his parents tried to console him. Stephanie considered taking him to Tallaght A&E before reasoning that he was under intense pressure with his upcoming mock exams. 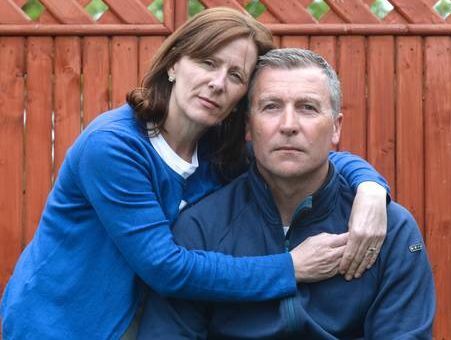 John and Stephanie say that had they been aware of the contraindications of SSRI antidepressants for under-18s, they would have known that this behaviour was a cause for alarm. The Patient Information Leaflet for Prozac on the HPRA website has strict guidelines in relation to Prozac and adolescents. Parents are advised to contact their doctor if symptoms including irritability and extreme agitation; untypical wild behaviour; restlessness and poor concentration develop, or worsen, when patients under-18 are taking Prozac. Children with Asperger’s are structure dependent. They like order and they tend to take their meals and partake in activities at the same time each day. “Jake would came home from school and he would sit there and not move until his homework was done,” explains Stephanie. Jake had joined a gun club with his mother a few months previously. He didn’t enjoy other sports, which is not uncommon for people with Asperger’s, however he showed an immediate enthusiasm and aptitude for shooting. That night, Jake asked his mother if he could take the gun out of its secure storage so that he could practise holding it. “I hated telling him no because he never asked for anything,” explains Steffini. “I never hesitated … but I did f**k up big time by not taking the box [of bullets] away. And I have to live with that. They didn’t hear the fatal gunshot. It was the sound of silence — when they called Jake for his supper — that told them something was wrong. John, a paramedic, bolted up the stairs to Jake’s bedroom where he performed CPR straight away. Jake was taken to Tallaght Hospital. He took his last breath at 3.30am. “When we came back after turning the life support machine off I got the bottle of Prozac and threw it against the wall,” remembers Stephanie. The inquest, which started on May 31 last year, is ongoing. John and Stephanie don’t just want a verdict. They want answers. They want to know why antidepressants sold in Ireland don’t carry a black-box warning as they do in the US. They want to know why their son was prescribed an antidepressant when he was not diagnosed with depression. “When the illness takes up one sentence on the Patient Information Leaflet and the side effects are three pages, there’s a problem,” says Stephanie. She cites a watershed case in the US where a judge concluded that a 15-year-boy was under the influence of Prozac when he fatally stabbed his friend. Cases such as this one are known as ‘iatrogenic’ – caused by medical treatment. The term was brought forward in the Dáil last week by Pádraig Mac Lochlainn (left) of Sinn Féin. “I met with the McGill Lynch family for the first time last year,” explains Mac Lochlainn. “One of the areas we looked at was the Coroner’s Act which is over 50 years old and in serious need of a comprehensive overhaul. “We want to put forward a symbolic amendment known as ‘Jakes’s Amendment’. The idea is that the coroner could consider the issue of iatrogenic suicide. John and Stephanie insist that they are not out for “material gain”, nor are they anti-medication. “We’re not trying to frighten people,” says Stephanie. “We believe that medication should be the last resort, not the first one. “It may sound old-fashioned, but sometimes we’re happy, sometimes we’re sad,” adds John. They want to raise awareness around the risks of antidepressants. They believe that their son would have made a difference in the world and now, more than two years after his death, they are determined to make that difference on his behalf. Part two of this article remains to be written. That will happen after the eventual completion of Jake’s inquest. In the meantime, our thoughts are with Stephanie and John as they continue their struggle. RIP another young victim. Condolences to the family, nothing is as hard as losing someone to these drugs. I congratulate you for your commitment to making a change, in a positive way. I hope the bill gets passed, and if it does, I may be able to help initiate similar change in Australia.